Amazon met with Immigration and Customs Enforcement (ICE) officials during the summer to try to sell its controversial facial recognition technology to the law enforcement agency, The Daily Beast reported. The technology, named "Rekognition" can identify people in real time, according to documents obtained by the Project on Government Oversight (POGO). Testing has revealed concerns about the tool's accuracy, and former ICE officials have vocalized worries about how it could be abused. 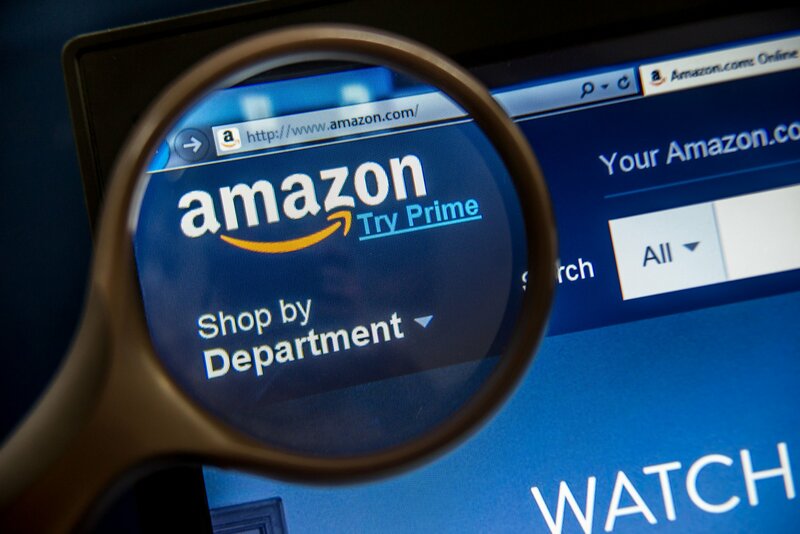 In July, the ACLU noted problems with Amazon's software. The civil liberties watchdog said that in a test, the facial recognition tool falsely identified 28 members of Congress as people who had been arrested for crimes. "The false matches were disproportionately of people of color," the ACLU said. Democratic lawmakers have raised concerns about the reliability of facial recognition software, which can compare a face to millions in a database in a second. "A series of studies have shown that face recognition technology is consistently less accurate in identifying the faces of African-Americans and women as compared to Caucasians and men," representatives Keith Ellison and Emanuel Cleaver wrote earlier this year. The Daily Beast noted that "during this administration, ICE agents have targeted immigrants trying to enter and leave medical facilities and houses of worship despite an official policy that discourages apprehensions at 'sensitive locations.'" The outlet said that facial recognition software would enable the law enforcement agency to automate such surveillance. Senior Legislative Council at the ACLU Neema Singh Guliani rebuked both ICE and Amazon. "ICE should not be using face recognition for immigration enforcement. Congress has never authorized such use and it would be irresponsible to allow this technology to be used to support ICE’s ongoing efforts aimed at terrorizing immigrant communities throughout the country. The public deserves to know whether the agency is deploying or planning to deploy this technology," Guliani said. "It is disturbing that Amazon continues to knowingly ignore warnings from members of Congress, civil rights groups, the public and its own shareholders and employees about the dangers of its technology. History tells us that surveillance technology is often wrongly used to target immigrants and political protesters, and we have every reason to be worried that this time will be no different." ICE did not comment to Newsweek prior to publication. "We participated with a number of other technology companies in technology “boot camps” sponsored by McKinsey Company, where a number of technologies were discussed, including Rekognition," an Amazon Web Services spokesperson told Newsweek. "As we usually do, we followed up with customers who were interested in learning more about how to use our services (Immigration and Customs Enforcement was one of those organizations where there was follow-up discussion)." ICE told POGO "we can’t provide data on how often we’ve met with a particular vendor to discuss emerging technology they’re developing, but industry outreach and building relationships with potential contractors is fairly standard within government acquisition," according to The Daily Beast. Amazon's attempt to have ICE adopt Rekognition appears to match broader industry trends. 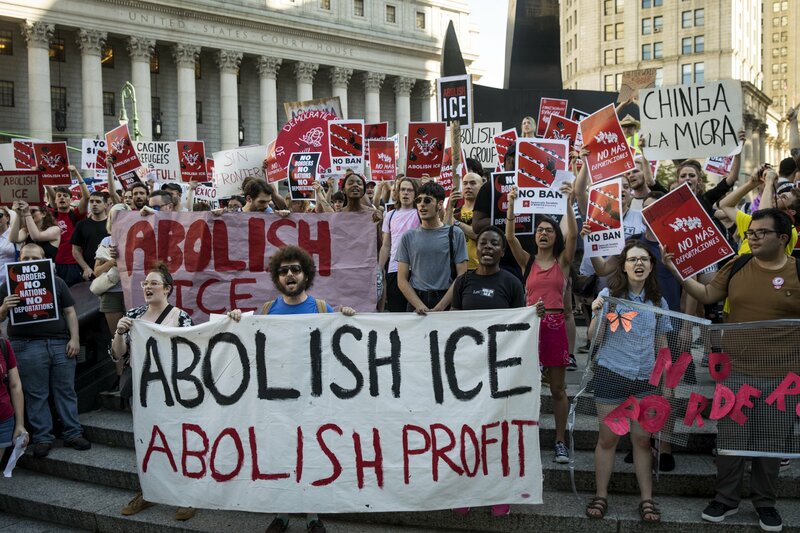 The Guardian reported on Tuesday that technology companies are gaining large profits from sending tools to immigration enforcement agencies, citing a report from research firm Empower LLC. The study notes that Amazon, Microsoft and Palantir. Amazon Web Services provides support for DHS' storage of biometric data on more than 200 million people.